» Nolan C. (Gus) Galloway Jr.
Incredibly flexible site with 4.5+ acres of paved yard and 11,936 SF wood-truss building. The B5 zoning can accommodate a variety of uses AND allows the full use of the expansive laydown yard. This property is security fenced, has two ingress/egress points on NW 27th Ave., and totals 8.75 acres in two parcels. 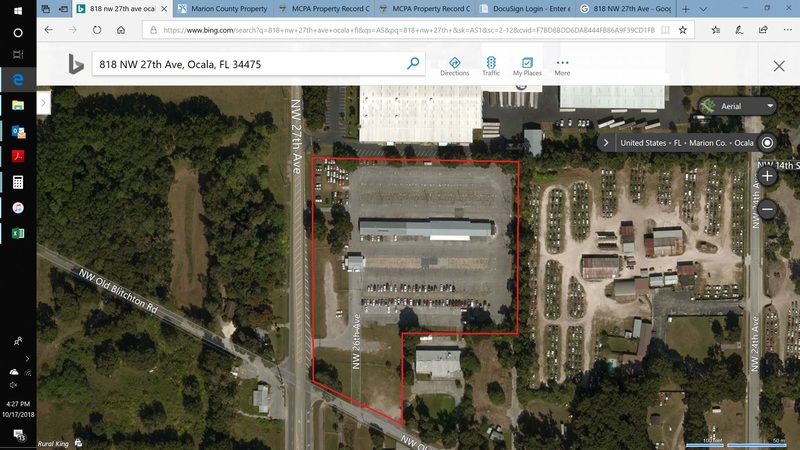 Its proximity to I-75 (1 mile to US 27 Interchange) and the new Rural King puts this property right in the path for future commercial growth in Ocala. Excellent as investment or fur a user.